Submitted by peter on 15 May, 2011 - 01:43. 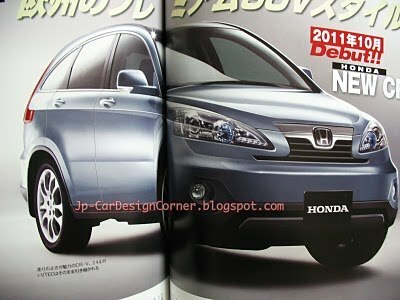 Is this the face of the 2012 Honda CR-V? We can only hope it's not, but, the current model isn't exactly a beauty either. 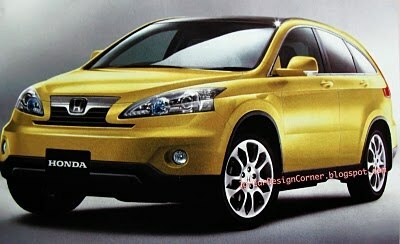 Still, the 2007 Honda CR-V is set to be replaced by an all new 2012 model in time for the new year. 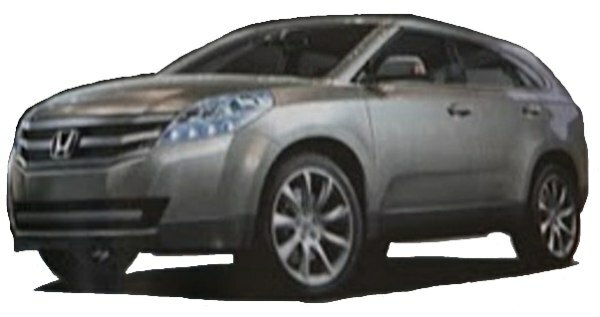 Although these renderings are unlikely to be real, it's also impossible to know if the actual production 2012 CR-V will be better or worse. Honda's designs have been hit and miss in recent years. While other marques, in particular Hyundai, Audi, and Kia, have managed to reach some form of continuity in terms of styling across the range, Honda seems to be experimenting somewhat, and hasn't really developed a firm brand identity across the range. If these images are close to accurate, let's hope that Honda keeps experimenting. Apart from speculative design renderings, and a estimated release date, word is that the CR-V will have a 2.4 litre 170PS engine. The current 2.4 unit is rated at 166hp or 168PS. The 2.0 litre unit should also feature in Thailand.